The Spring Sale offered a diverse selection of antiques and collectables, ranging from beautiful jewellery through to rare fountains pens. We’ve highlighted seven lots that sold for over £12,000, including a collection of Derby porcelain that fetched a combined £100,000. 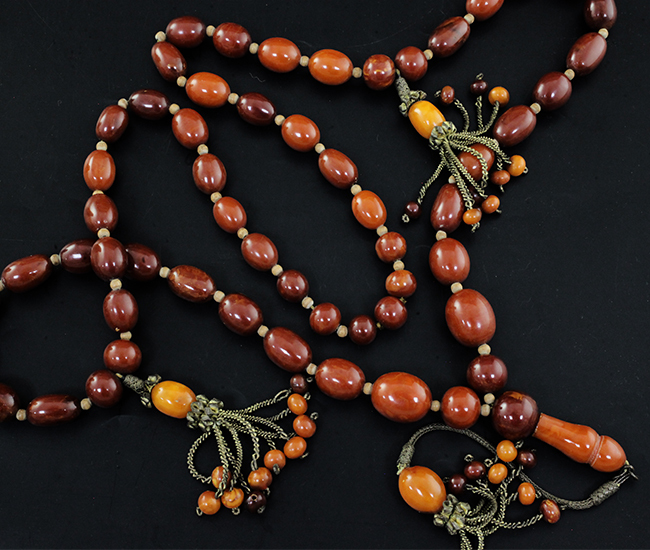 The top individual lot was an antique Persian amber bead necklace, sold to a Turkish buyer following a lengthy bidding battle, for £22,000. 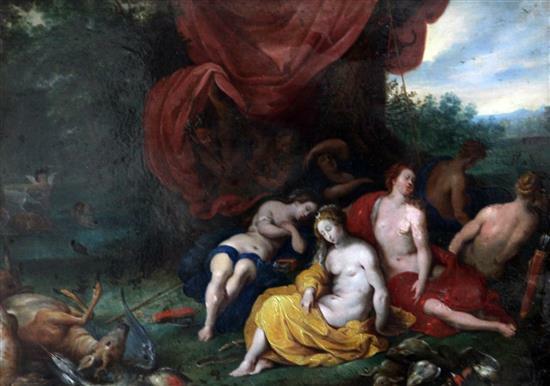 Equally fought over, was a Flemish oil on copper of Diana at rest. Diana was known as the virgin goddess of childbirth and women. Oak groves and deer were sacred to her, which is depicted in this 17th Century painting that sold in the Gorringe’s Spring Sale for £16,000. One bidder travelled from Belgium to secure the lot, only to be thwarted by an online bidder from Germany. The remarkable Dennis G. Rice collection of early Derby porcelain achieved a hammer total of £100,000. 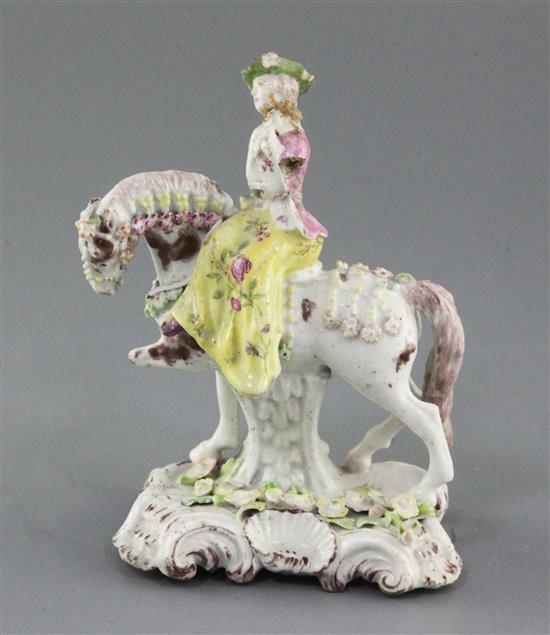 Highlights within that hammer total included three extremely rare examples of a porcelain manufactory that he named after this very figure, known as ‘The Girl-on-a-Horse’ Factory . Otherwise known as Compass Marked or ‘Transitional Derby’, there are only 21 known examples, four of which are in the London Museum Collections. Made to commemorate Sir Winston Churchill, who was voted The Greatest Brit of all time for his courageous dedication to the cause of the freedom, this sealed Montblanc fountain pen went for £16,000 in our Spring Sale. Crafted from 18k pink gold inlaid with black and brown tortoiseshell lacquered bands, the cap top is ringed with fifty three diamonds to commemorate the year Churchill was knighted and bestowed the Nobel Prize for Literature. 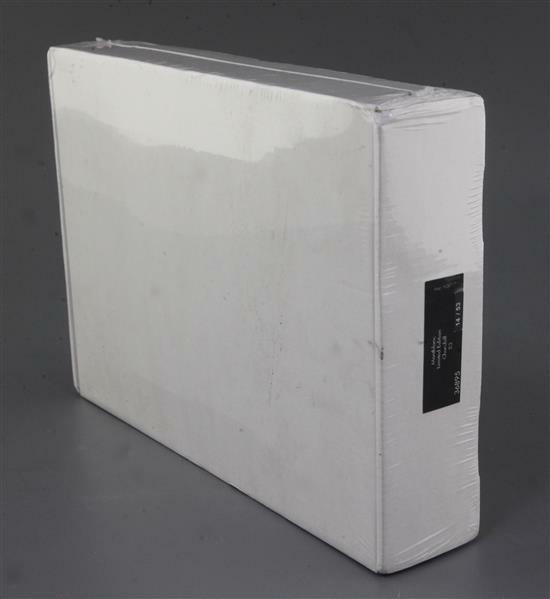 The lot also features a mother of pearl inset Montblanc star, legendary V for Victory sign echoed in the clip and a medium 18k gold nib, engraved with Churchill's portrait, sealed in original packaging no.14/53. Vladimir Tretchikoff, who died aged 92 in 2006, once said that the main difference between Van Gogh and him was that Van Gogh starved whereas he had become rich. Some viewed his art as the epitome of kitsch, but Tretchikoff himself- and many others - labelled his work as symbolic realism. 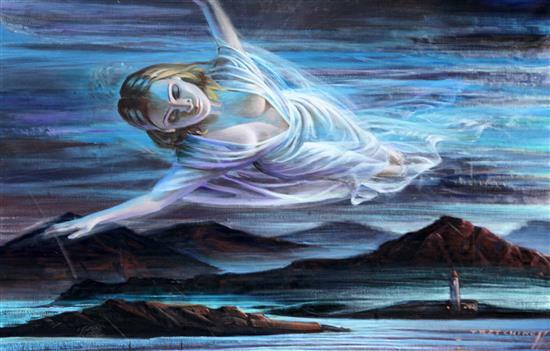 In fact, Tretchikoff once blocked an image of one of his paintings being used as the cover of a magazine celebrating 50 years of Kitsch, as he saw that as an insult to his work. This lot - ‘The Dream’ - was highly sought after, eventually achieving a remarkable hammer price of £16,000. Giovanni Battista Piranesi was famed for his etchings of Rome and ethereal “prisons”. In the early 1740s, Parenesi had the chance to work for the Venetian ambassador of Pope Benedict XIV, as a draughtsman in Rome. While there he learnt the craft of engraving and etching, under the tutelage Giuseppe Vasi - with pieces focused on depictions of Rome and its monuments. The two engravings, each laid out on six pieces of paper with attached wooden rolls - Veduta del Prospetto, Principalé della Colonna Trajana and Veduta del Prospetto Principalé della - sold in our Spring Sale for £12,500. Dame Laura Knight, DBE RA RWS, was an artist in the figurative realist tradition and noted as one of the most popular painters in Britain. An impressionist, she worked in oils, in addition to mastering watercolours, etching, drypoint and engraving. 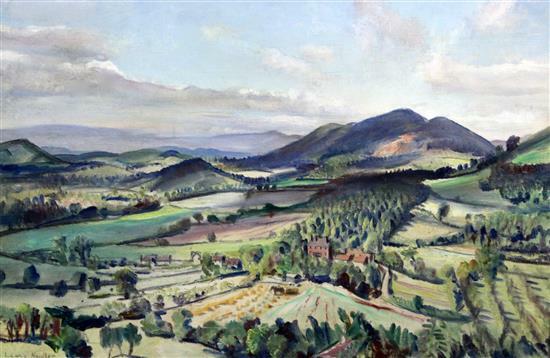 She visited the Malvern region for over 30 years and loved the views and painting scenes from the area. Her piece, ‘Malvern Hills’, sold in Gorringe’s Spring Sale for an eye catching £12,000. Our next fine sale is Tuesday 25th June 2019, with entries required by 1st June. Look out for updates on our website and don’t miss out on what promises to be another fantastic auction packed with interesting and unique lots.